As an up-to-date Society, we want to give you the opportunity to stay in touch with the Society. By checking out this website on a regular basis, you will be kept up to date on the activities of the Society. The Society headquarters and track are situated in Victoria Park, sometimes known as Rosehill Park, in the township of Rawmarsh, near Rotherham in South Yorkshire. You can find us by following the directions shown on the contact page . The facilities provided include workshop facilities, a triple gauge ( 3.5", 5" and 7.25" ) raised track and a 7.25" gauge ground level track. New members are always welcome and as a member you would get full use of the facilities, be able to help run the miniature railway and get valuable advise in building your own model. For full details of becoming a member click here . Birthday Parties and Miniature Train Rides. The track, locos and coaches in Rosehill Park, are also available for hire for private functions e.g. Birthday Parties. For full details and costs click here . Please note that hire is NOT available from November to March due to carrying out essential maintenance work on the locos and track. 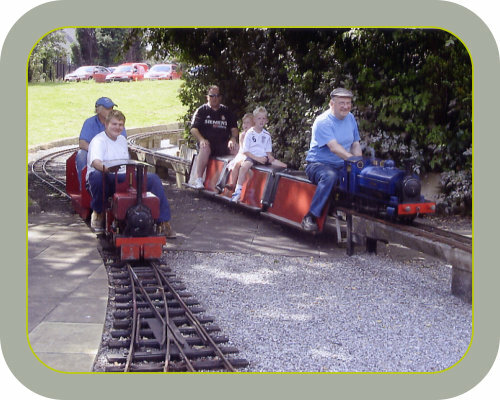 The Society also runs its miniature trains every Sunday from April to October and every Wednesday during school holidays. Trains operate between 12:30 and 16:30 with a fare of £1.0 for a ride of approximately half a mile. Taking our Train to Outside Events. We have no outside events yet booked for 2018 Unfortunately, as we are a non profit making organisation and lack of sufficient active members to run theses events, we are limited to the number of events we can attend in any one year. As an up-to-date Society, we want to give you the opportunity to stay in touch with the Society. By checking out this website on a regular basis, you will be kept up to date on the activities of the Society. The Society headquarters and track are situated in Victoria Park, sometimes known as Rosehill Park, in the township of Rawmarsh, near Rotherham in South Yorkshire. You can find us by following the directions shown on the contact page. The facilities provided include workshop facilities, a triple gauge ( 3.5", 5" and 7.25" ) raised track and a 7.25" gauge ground level track. 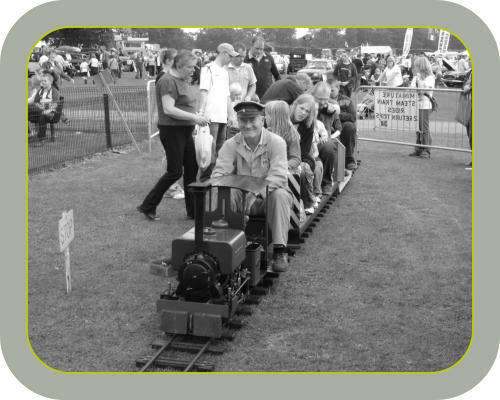 New members are always welcome and as a member you would get full use of the facilities, be able to help run the miniature railway and get valuable advise in building your own model. For full details of becoming a member click here. The track, locos and coaches in Rosehill Park, are also available for hire for private functions e.g. Birthday Parties. For full details and costs click here. Please note that hire is NOT available from November to March due to carrying out essential maintenance work on the locos and track. 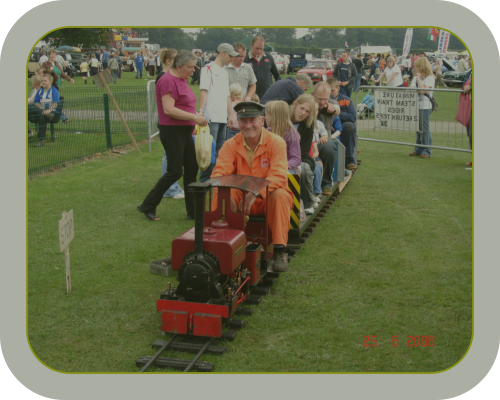 The Society also runs its miniature trains every Sunday from April to October and every Wednesday during school holidays. Trains operate between 12:30 and 16:30 with a fare of £1.0 for a ride of approximately half a mile. Unfortunately, as we are a non profit making organisation and lack of sufficient active members to run theses events, we are limited to the number of events we can attend in any one year. We are now open for birthday party bookings. Parties already booked ;- 14th April, 26th May, 9th June, 7th July, 4th August all 1 to 3 o’clock. We need as many members as possible to attend.